Lynyrd Skynyrd Guitar Riffs "Gimme Three Steps" - Free Lynyrd Skynyrd Guitar Riffs! 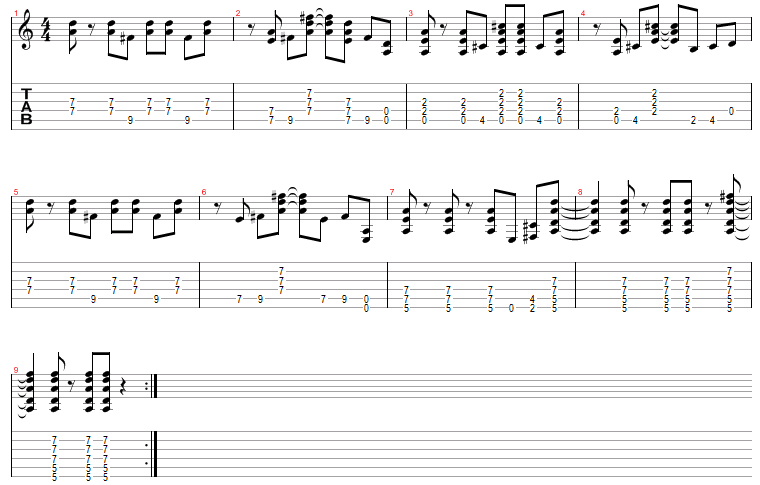 This free Lynyrd Skynyrd guitar riff is "Gimme Three Steps". This riff uses power chords which makes it easy to play. The power chords are broken up most of the time. By broken up I mean that all of the notes in the power chord aren't played together. The 1st two measures are perfect examples of this. Start off slow while learning to play this Lynyrd Skynyrd guitar riff and get the rhythm down before going full speed. The solo to "Gimme Three Steps" by Lynyrd Skynyrd uses alot of the same power chords that was used in the intro. This time there is an array of bends used. Since some of the bends happen lower on the neck make sure and use a few fingers while bending, it will be alot easier.